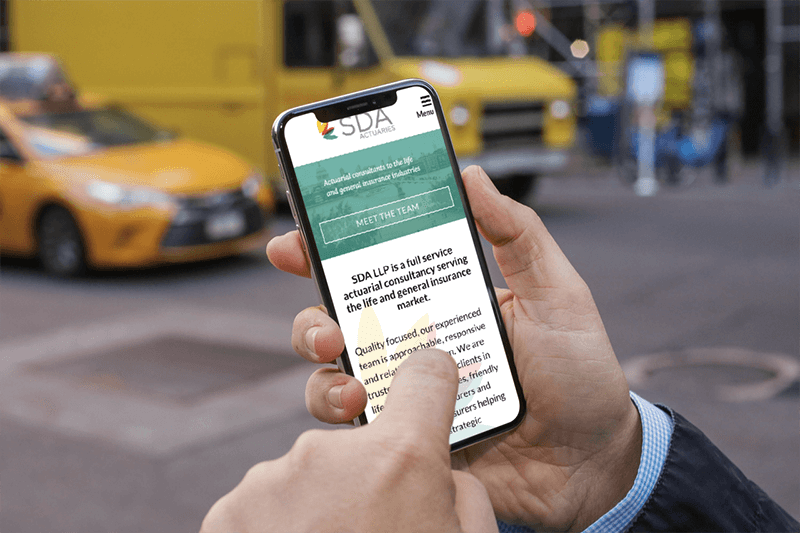 SDA LLP, a full service actuarial consultancy serving the life and general insurance industries, wanted to refresh their website and a suite of related marketing materials. 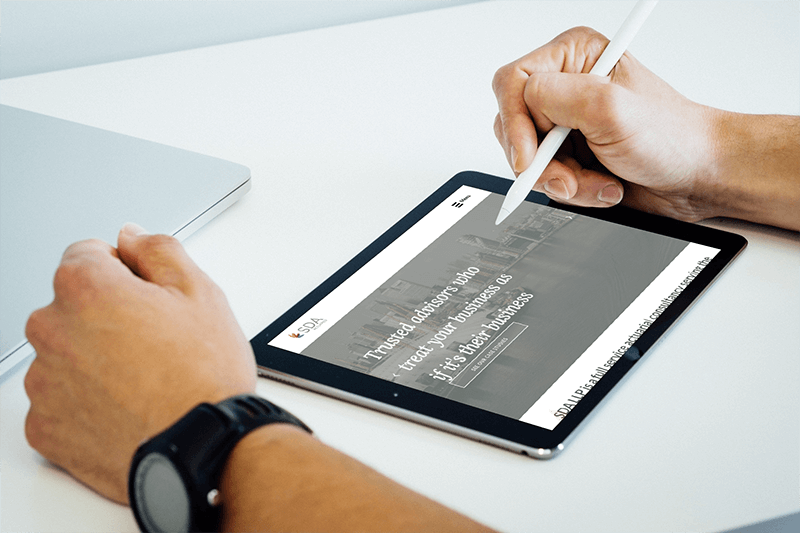 Working with the existing brand, we led a project to refresh the website as part of a soft-launch of a new technology product from the firm, and to update all marketing materials to reflect a modern, consistent professional services brand. We consulted closely with the team to clarify their brand messaging and positioning, and using their existing logo, built out a brand language that can be applied to both print and digital materials. 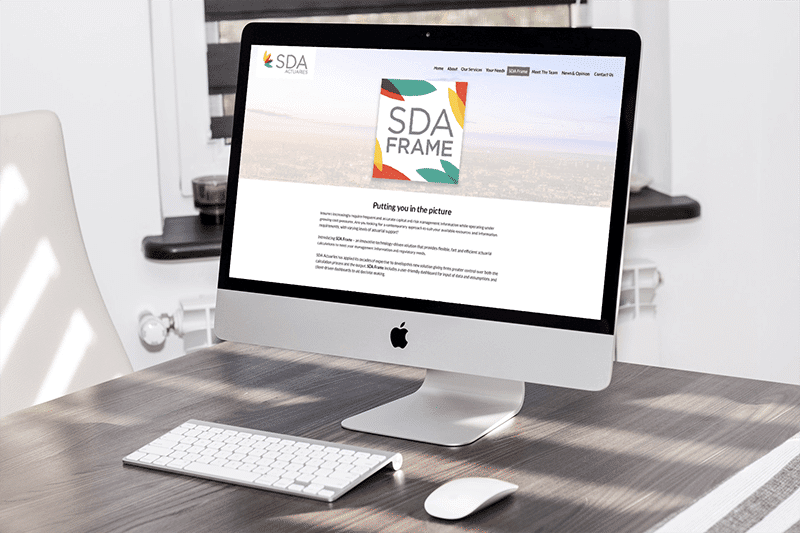 We created a mobile-friendly responsive website, showcasing their experts and depth of expertise on strategic actuarial issues, as well as their full range of services and information about the team and SDA_Frame, the new technology offering. We selected and briefed the photographer, wrote the copy, sourced imagery and managed the website implementation. 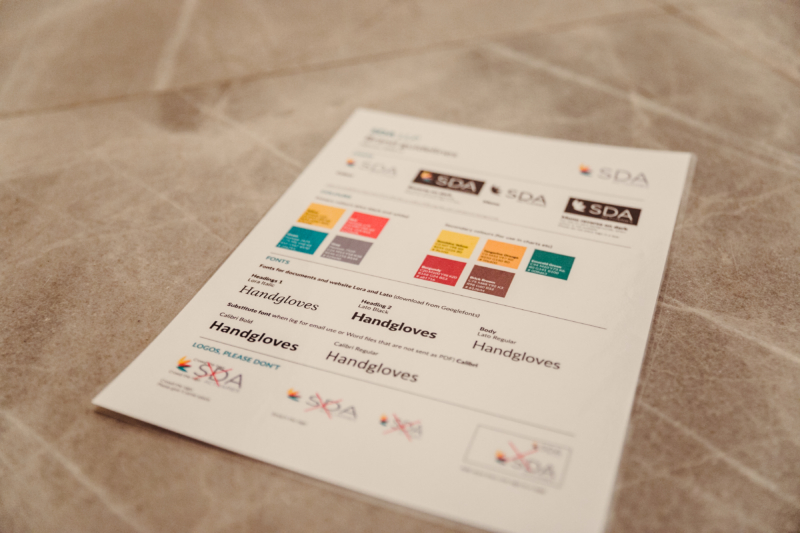 To support the brand refresh, we designed a suite of marketing materials; client newsletters, SDA_Frame brochure and digital templates to ensure that the strong brand look and feel was communicated to clients across all communication channels.